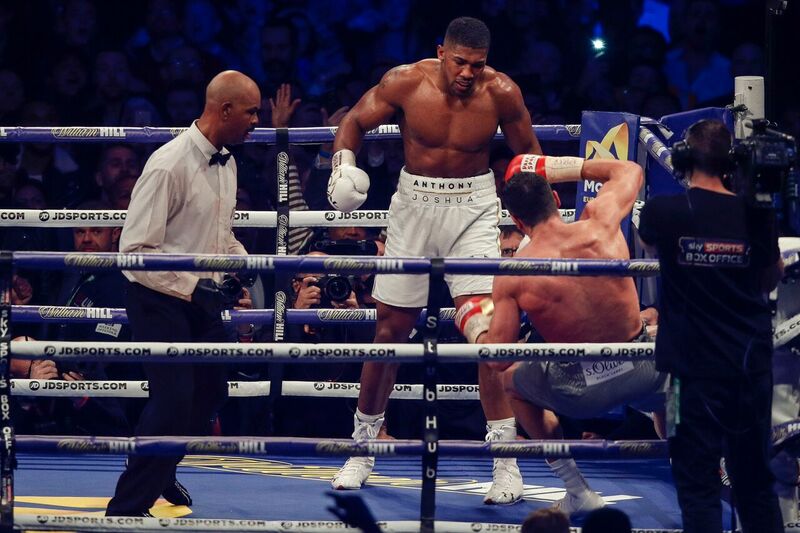 As Fight Week approaches for IBF/WBC heavyweight champion Anthony Joshua, the talk on him couldn’t be much higher. Joshua (20-0, 20 KO’s) faces off with WBO heavyweight champion Joseph Parker (24-0, 18 KO’s) inside of the Principality Stadium in Cardiff, Wales on Saturday, March 31 in a fight that will go a long way towards determining the future of the heavyweight division as well as what lies ahead in the UK champion’s career. What is interesting about Joshua is that fact that, aside from his obvious fighting ability, he is clearly one of the most marketable athletes not just in boxing, but in sports today. That charisma has definitely caught the attention of UFC president Dana White, who recently mentioned how he would be interested in signing the 28-year old to his own promotional company. During a recent conference call, when asked of the recent UFC talk, Joshua pledged his alliance to his current promoter Eddie Hearn of Matchroom Boxing. UFC superstar Conor McGregor crossed over and challenged former pound-for-pound king Floyd Mayweather to a boxing match this past Aug. 26, losing via 10th round TKO, as noted by Joshua. Joshua knows fully well the kind of business acumen involved to make such a crossover himself, as believes Hearn and White could be the people to help make it a reality. Ever the shrewd businessman with a growing list of all-star clients, it’s hard to imagine a promoter in boxing who is on a bigger rise than Hearn is at the moment. When asked about the prospects of Joshua in the UFC, Hearn shared his view.